The SOAP Program is a highly unique "Health and Wellness Aquatic Program" that can help any individual, regardless of age, fitness level or life experience, who is unable to enjoy the many physical, emotional and recreational benefits that result from participating in aquatic activities, as a a result of varying degrees of their fear of water. The program combines cognitive awareness, emotional support, both in and out of the water, in addition to aquatic skill builiding, all developed to address the very specific needs of a widely diverse population of people who's anxiety prevents them from feeling safe in water. Learn more about Jeff's SOAP Program. Please watch the Eyewitness News Report Video above. Participants are provided with an in depth view and explaination of the "Who, What and Whys" of aquatic fear/phobia and anxiety so that they are better able to understand their feelings and reactions with regards to previous aquatic experiences, or lack of. The counseling process is a critical part of this program, where participants learn how to effectively manage the very powerful feelings which have prevented them from realizing success in water. This program is not a "traditional" learn to swim program, it is a "learning to overcome fear of water" program, which is the first step in learning how to swim for any fearful swimmer. Participants gradually learn and develop aquatic skills that will allow them to feel and be comfortable, confident and competent in water and when they are ready, emotionally and physically, are taught traditional strokes. "This class is leading to many breakthroughs in other areas of my life. Courage is most definitely like introducing yourself to Fear and then serving it an eviction notice. Sabrina R. Prince, Manhattan, NY . These skill sets and the unique rapport between the SOAP Instructor and the participants allows them to wade into the aquatic experience and no longer suffer from a fear of swimming. "Fear can be a powerful motivator, rather than a painful deterrent.” Jeff Krieger, M.S. 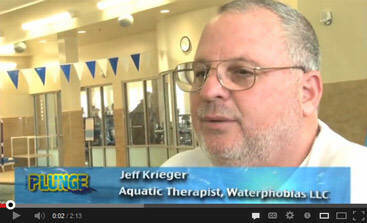 My son Jesse, age 11 has been taking swim lessons with Jeff Krieger as part of the SOAP program. Jeff has been able to take Jesse from being anxious and fearful of the water, to swimming with his head under water, a goal my husband and I never thought he would be able to achieve. Jeff' was insightful, patient, motivating and encouraging. With his highly skilled teaching methods, Jeff was able to take my son from being afraid to get into the water to actually enjoying being in a swimming pool. It has helped him build confidence in other areas of his life as well. Vacations and get togethers with friends that involve swimming is no longer a problem...Jesse can participate with confidence and enjoyment. We can't thank Jeff enough for helping our son achieve the goal of becoming a swimmer! Hi Jeff, You're so encouraging and trustworthy that your students can only excel. Thank you for bringing this vital skill to so many of us, and for doing so with such patience and competence. 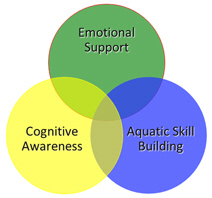 The emotional stability, cognitive awareness and physical skills needed to be safe and enjoy the water. Awareness of the aquatic environment, systemic desensitization to overcome fears and tools to handle any situation. 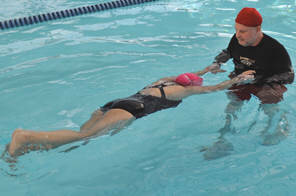 Proper use of breathing, roll-overs, floating, treading, and transitional swim strokes. Use of behavior modification, relaxation, positive imaging, and counseling / coaching techniques. "Changing one life at a time!! !.” Jeff Krieger, M.S. Jeff is featured on the website Jabari to end drowning. Read Jeff's article on "Overcoming a fear of water differs from learning how to swim". Here's a preview of the documentary film "Taking the Plunge." Be on the lookout for the official movie trailer being released August 2013. To watch, click on the Image above. I found out about Jeff and his SOAP plan after a lot of research on looking for someone who helps adults overcome their fear of water and helps them realize that water can be a friend instead of the perceived "enemy". I have suffered from a deep seated fear of water since childhood. I never had a traumatic experience but still my heart raced and I felt this irrational fear creep up my neck every time I got anywhere near a water body. I reached out to Jeff by email and he was kind enough to respond the very same day. Even though we didn't talk over the phone, his emails were very warm and very encouraging. For the first time, I felt like I had found someone who could help me in my quest to conquer my irrational fear of water. He was very responsive to my queries and emails. He shared a lot of write-ups on his experience with adults and his articles on overcoming water phobia. All of this gave me immense confidence that I would finally be able to enjoy being in the water and possibly even swim. Even before I got in the pool with him, mentally I was ready. That itself was 50% of the battle. Very unlike all my past experiences with instructors. or suffering from tunnel vision in 3 feet of water. Jeff is kind, patient and holds himself to very high standards in his quest to help folks like me. He has a very special gift and I couldn't say enough about what he accomplished with me. I wont get into details and share his secrets, but in 3 days time I was floating, floating on my back, gliding in the water, treading in water over my head, swimming the length of the pool without anyone to help me. The biggest accomplishment for me was jumping into 9 feet of water on the last day, alone and totally relaxed. "The Fear Of Water, A Formidable Foe!!" 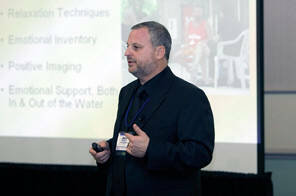 Check out Jeffs latest article about the fear of water in Water Safety Magazine. Jeff is featured in an article in "Psychology Today" on "How To Overcome Fear Of Water", by Patty Chang Anker . Drowning prevention begins with learning to manage anxiety outside the pool. "Helping Fearful Swimmers" is a safety net group on Facebook for fearful swimmers and aquatic professionals who are looking for information on their experiences, as well as experienced instructors in your area. Please feel free to like this page and invite your friends to do so as well, as we want to help as many people as possible. 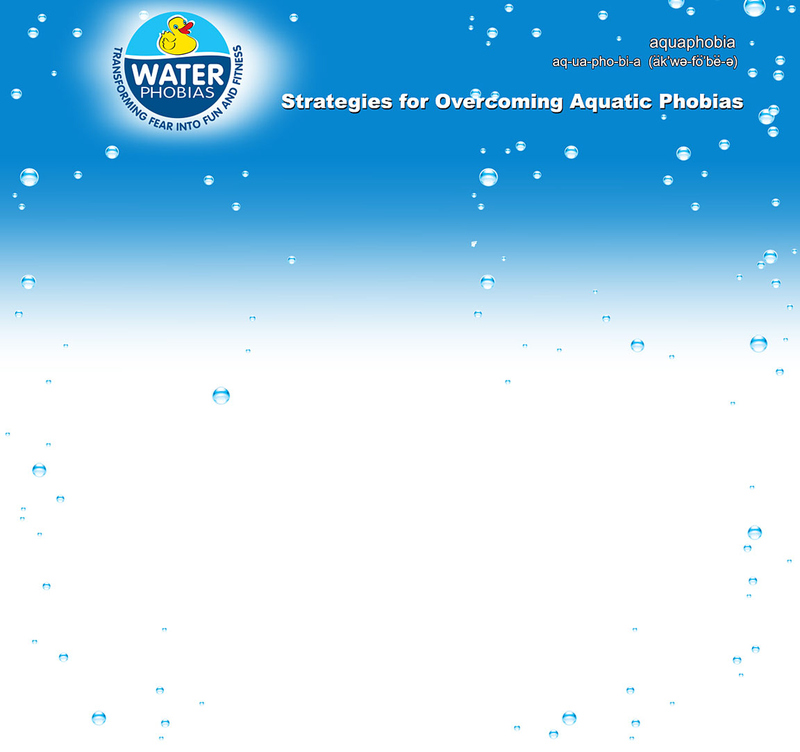 Many adults who have water phobias are uncomfortable discussing this topic with people who do not understand or share these unique challenges. Here is the place to do so.